What do you do when YOU'VE accidentally CRUSHED your CRUSH?! 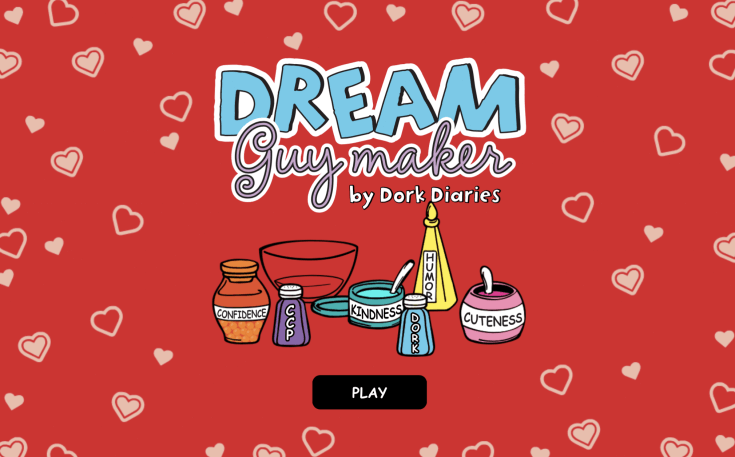 Play Nikki’s latest game by mixing ingredients to create your Dork Diaries dream guy! Mix CCP Spice, Dork Spice and Kindness together. i did that too!!!!!! same thing so sad!! Maybe you could make a game where you have to give Nikki, Chloe and Zoey a makeover. that is a coolio idea! tres bien!!!!!! what did u mix to get max? My dream guys are Andre and Brandon. OMG. I got the person I wanted to get, while being myself and saying what I actually wanted. I got Max Crumbly. I am SO playing this game 2morrow! i like it but its a little bit boring..
It’s fun to playa few times, but after playing it for like five times, it gets boring. OMG my dream guy was BRANDON! No offence, nikki!